Can you remember a person who helped you during difficult times? This would be a person who is willing to listen, able to encourage and determined to help you see the light at the end of the tunnel. I think all of us can remember a person like that. 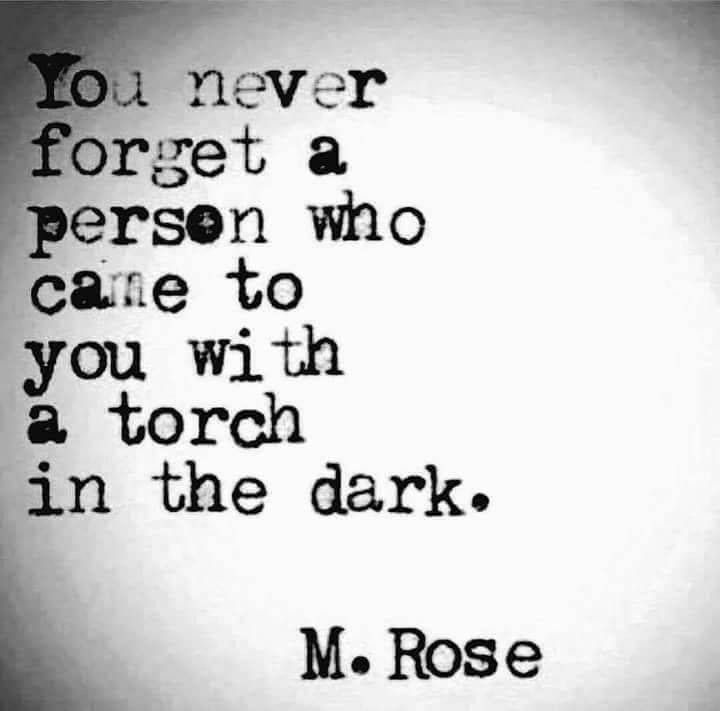 In my case there were two who came with a torch. I had just started my business when the recession hit in 2008. It didn’t take very long and I went from a few clients to none. This was a scary moment to say the least. One of my friends is an accountant and he helped me to put my taxes together. I had just started to run with him and another lady on regular basis. When he had all the paperwork together, we set up a meeting and he showed me where I had to sign. I was surprised when he put everything in an envelope and told me that he would mail it for me. I couldn’t believe it because I owed exactly $ 4,362.00. It turned out that he and my other friend paid the taxes for me and they told me that I am not allowed to pay it back unless I am doing well. I was stunned that strangers (they knew me for less than 2 years) would do something like this for me. I am proud to say that I paid the money back about 4 years ago but I will never forget this act of kindness. My point is that we should all aim to help others as much as we can. What goes around comes around. Help comes in many different forms and everyone needs a special person during times of need, so why not aim for being that person?